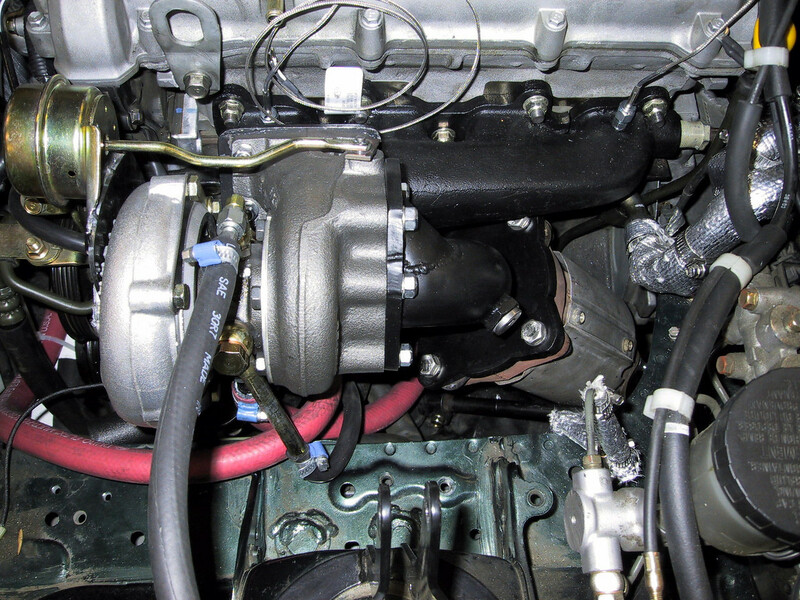 Carb kegal Turbo kit - Page 2 - Miata Turbo Forum - Boost cars, acquire cats. FINALLY CARB legal boosted kits for all years of miatas!! This news comes just a couple months after I bought a MSM since it was the only CARB legal turbo miata I could get.... Regardless, this is great news for the community here in CA! The CA-emissions NB1 has a pre-cat, for which there is no accommodation in the FM kit. AIUI, this means it's only CARB legal for Federal emissions NB1s. curious what provision FM has for that, as the whole point of CARB approval is to allow CA ( non-federal emissions vehicles) to pass smog. So if the two cats prevents that, what’s the point of carb approval If it doesn’t fit on those cars with 2 cats? As far as I know there is no provision for the 2-cat cars, but I don't work for FM. You would have to ask them for a definitive answer. Note that CA emissions is only required for *new* vehicles sold in CA. Federal emissions vehicles can be brought into CA once they are 6 months old (or sometimes less for certain exceptions), but those Federal vehicles still require CARB certification for any smog-related aftermarket parts that are installed. So those are the NB1s to which this EO would apply. Given that it's been 18 years since those cars were new, there are a lot of Federal cars around. Also, NB2s don't have that second cat (all NB2s are CA emissions, using a single cat), so this all applies only to 1999 and 2000. Excuse my mistake, I wasn't aware of this. Hey guys! I can answer any questions about the CARB status of the kits, including retrofit possibilities for older FM kits. Our goal is to make this stick with no sketchiness, so if you have one of our kits and our sticker then you know it's 100% legit and you will not have any problems at smog time. The two-cat cars are an unfortunate outlier. Our EO does cover them, but we'd have to come up with a special manifold/downpipe that retains the factory primary cat like the old NLA Bell kits did. There's no technical reason we can't do this, but it's a financial hurdle and we'd have to make the business case for it. Codrus summed it up well, after 18 years there are a lot of federal 1999-00 cars in CA legally so the EO works for them. It's just not legal on a two cat car that has had the first cat removed in order to fit our turbo. You just broke my heart. I have a 99 with your turbo kit and got excited from the announcement. I guess I'll have to source a federal emissions car to swap everything over. So technically every 2 years to pass smog, you could revert back to original injectors and remove MS3. Put oem injectors and voodoo box. Rest of the year enjoy a proper ECU solution for those heading to the track. I was convinced of buying the TSE EFR(track proven setup) but this CARB OE makes the decision so much harder now. Fuel rail and and fuel pump can be upgraded on a smog legal car correct? No need to remove those every 2 years? Basically, a fuel rail should have an EO. Some of this is going to be due to the lines, as the wrong choice of lines is going to affect evaporative emissions. Fuel pump is okay if it's a replacement for the stock part, but an upgraded one needs an EO. In reality, a pump would be unlikely to fail a visual inspection. Spending the SEVERAL hours to remove ms, injectors, whatever else and swap in the doodoo box, get the oe ecu to set readiness monitors, etc is totally fine. the 1-2 hours more to swap the rest of the setup is way too much work? Is there anyone out there who is actually running the FM Carb Legal kit? can you share your experience with the new Voodoo box? My car is an all around car - (street, track, autox) and I do not want to deal with removing/ reinstalling or trying to find a dirty smog shop which is why I am leaning towards the carb legal option. Pretty sure it is the same voodoo box they have been using for years. Understood, regarding the 02 sensor, does the stock one remain in place and just operate as it normally does? Will my wideband need to be connected at all to the ECU or will it just operate on its own to report AFR? Yes, you leave the stock O2 sensor in place. The wideband signal is different and the stock ECU doesn't understand it, so that will just run your gauge. There's an extra bung in the downpipe for a wideband. 1999-05 Jackson Racing M45 Supercharger kit CARB LEGAL!